The luxurious hotel SITARA offers extravagant royal and theme suites to make your stay memorable. Opulent facilities, unmatched comfort, and impeccable service define this one-of-a-kind hotels, set in breathtakingly beautiful environs. Lakes, mighty palaces, impressive forts- Udaipur is indeed a land of wonders. The one f the most romantic cities of India attracts a large number of tourists from all corners of the globe. Every tourist's need is completely different from each other. To satisfy their needs luxury hotels of Udaipur are simply unmatched. They will leave permanent imprint in your memories of your stay at Udaipur. n enchanting setting, gracious décor, and the latest in modern conveniences and amenities distinguish the guest rooms at The Mughal, Agra. Total 285 rooms, including 2 Presidential Suites, 3 Deluxe Suites and all rooms are newly renovated. All rooms are newly renovated with state-of-the-art amenities and facilities. Of all experiences that can be held at Manali, there was one that the Gods truly missed: a stay of complete luxury at a resort within this great natural one. Equipped with world class infrastructural amenities, the luxury hotels in india offer the tourists with a fine lodging and dinning experience. 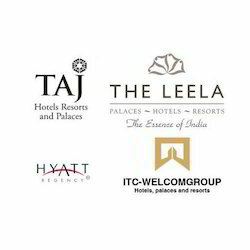 Catering primarily to the upper class executives, the luxury hotels extend a warm welcome to all the customers.